Author Derek Kohlhagen stops by to share an excerpt from his book, The Footsteps of Cain. He made a mistake. His punishment? Kill the world. A nameless immortal wanders a desert of his own making, on a planet mostly devoid of life. He is imprisoned to the will of a malevolent spirit ... limping toward atonement through a chain of uncountable bloody deeds, and across many millennia. The only thing that keeps him going is the promise of freedom ... not for himself, but for a love that he has destroyed. His ages-long road has led him to the distant future, to the planet's very last settlement of humanity. There, with one final, tired massacre, he aims to end the world. He will find the last remnant of civilization unwilling to enter the void so easily. He will also find that the world has one final, soul-stirring revelation yet left for him. Shock. A brother became an enemy across an instant, wearing a horrible mask of triumph, ridiculing him. The world turned a red shade of rage, and his actions were suddenly no longer his own. A struggle; blood splashed his world, staining it with an immutable taint of violence and death. Blood lust gave in to horror as he was struck with the full weight of the thing he’d done. Then she was there before him, but he couldn’t see her, not for what she really was. He spurned her. Her desperate pleading invaded his ears like a rival tribe. She begged for his love, raking his skin with her nails as though she could tear it from him. Her closeness choked him, stole his breath from his body. He turned, hurling her away in an attempt to find air again. More blood, this time a bright hue of crimson that would scorch his vision, forever. Panic. His sea of self-loathing closed over his head, and insanity gripped his body with clammy hands, threatening to pull his mind apart. He knelt down beside her to see the light fade from her eyes, locked onto him as the last thing they would ever see. He cradled her, called her name. Judgment. A sentence. A powerful grip on his arms, holding him fast. A burning pain shooting into his chest, the ripping of his flesh. That horrible sound of his heart’s desperate, discordant rhythm followed by its sudden, stifling silence. He should have died, but he hadn’t been allowed to. He knelt in the dirt, clutching at his chest and screaming her name. He hadn’t been screaming. He hadn’t spoken a word...well...as long as he could remember. There was a name, though. Somewhere inside his head. And a face. He could never bring the whole thing into focus, all at the same time, but he could see pieces of it. Dark curls. A crooked, spirited smile. He’d done something to her. Something...bad. He felt like it was important, but the mist in his mind was too thick to fully reveal the memory. It wasn’t a nightmare, for he hadn’t been sleeping (his body didn’t need sleep), but still he was haunted by the presence of whoever she was. Whenever he came to, he always had the idea that he’d known all the details clearly, just a brief moment before. Now, as always, it felt like something had been placed between him and lucidity, distorting it in the same way a warped piece of glass might. He opened his black eyes and stared at the sky, disoriented, his mind still smoky. His hands, stained dark (how many years?) with blood, fell to his sides. He unconsciously scooped up a clump of dirt and rubbed it between them in a feeble and ultimately ineffectual attempt to remove the red impurity. Then, his mind snapped back to the present. It all came rushing back to him as it always did, and the fog of his walking dream receded and clarity rushed in, welcoming him back to the world with its frigid, empty embrace. He once again came to grips with the horror that surrounded him. He dropped his head low, and when he moaned it came out low and soft, like the last wheeze of the dying. He rubbed his eyes with his palms, roughly, as if he could wipe away what he had witnessed...what he’d done. Finally, he let those terrible hands fall into his lap, and raised his eyes. The first thing they fell upon was the body. A dead man...no...thing...lay before him. It had been the last one to fall, but only after many grueling hours of murderous work. In order to retain some small scrap of sanity, he’d been forced to think of these things not as human, but something man-made, tools only good for one hellish purpose before their eventual disposal. It was clothed sparsely in shredded rags, old clothing that had long ago faded in the eyes of an angry sun, clothing that he also wore. Sinewy muscles were visible where the clothing didn’t cover, and they contoured the arms, legs, and torso in powerful strips, just as his own did. Although the body was turned slightly away from him, the head was twisted at an unnatural angle; bending back so that he could look directly into the face of the dead thing. Empty eyes stared out from it, eyes without iris or sclera, eyes whose smoldering, charcoal shade matched his own perfectly. The face had been beaten severely; it was covered in ugly purple bruises that distorted the facial features, and blood still oozed out of multiple places where the skin had been ripped open. Despite its twisted and battered appearance, he knew that when he gazed into the face of the thing, he gazed into his own. Death had not only touched this thing ahead of him. It was everywhere. Without even needing to look, he knew that he was surrounded by the silent dead, strewn all around where they had fallen to the slaughter. There were many. Hundreds. Some were outside, but most still lay below in the bowels of the towering metal structure, now entombed in the place they used to call home. He could feel their presence. Men, women, and children lay all around him, many of their accusing eyes cast in his direction. Now freed from life, those eyes were only mirrors that reflected his emptiness. It was all he was, now. A reflection in the eyes of the dead. He shifted to get his legs under him, and screamed once more, this time in physical agony. All at once his entire body was burning. Excruciating bolts of liquid fire shot up and down his arms and legs and through his gut, pounding at his head with spikes and hammers. His body had seen no rest, and he could feel the damage it had taken from the battle, damage that would need to be repaired before he could move on. The pain was only a small part of his punishment. It would inevitably pass, and soon he would continue; even now, it was fading at a rapid pace as his body made itself whole again. He rose and stood on two unsteady legs, swaying precariously. He concentrated on maintaining his footing while his weakness created the sensation of the earth tilting, seemingly determined to throw him once again into the dirt. But no, he remained standing, unsteady, waiting for strength. Come then, devil...restore me so that I might finish the hunt, and be rid of this mockery of a life. Without warning, a raspy voice thundered into his head. It came from everywhere yet nowhere, exploding across his mind and soaked with contempt. DEVIL? TSK, TSK, TSK. YOU HURT ME. YOU KNOW I CAN FEEL YOUR THOUGHTS, VERMIN. YOU REALLY SHOULD BE MORE POLITE. AFTER ALL THE TIME WE’VE SPENT TOGETHER, AFTER ALL WE’VE DONE FOR ONE ANOTHER, WE SHOULD BE BETTER FRIENDS! He heard the rustling of wings, then in his peripheral vision he caught it, over to his left. Perched on a pile of bodies was a single crow. It stood watching him intently, with an evil intelligence. The spirit was usually just that; ethereal and bodiless...a never ending stream of words in his head. Yet, occasionally it seemed to derive a particular thrill from inhabiting a physical vessel, as it chose to do now. It perched, waiting for him, a silent sentry looking on while he returned to the waking world. He met the crow’s soulless stare with a hateful one of his own. As disgusted as he was by the presence of the thing, he was resigned to the fact that there was now a connection between them, one that had proven over many thousands of lifetimes to be unbreakable, despite all his attempts. His only choice was to see his task through, and be done with it forever. The crow took flight on pitch black wings, veering toward him. At the last second it changed trajectory to land on the dead body of the man (thing) in front of him. The voice in his head boomed once more. I HOPE YOU DON’T MIND ME EATING IN FRONT OF YOU, VERMIN. I’M FAMISHED. ONE FOR THE ROAD, AS THEY USED TO SAY! was once more reminded of what waited for him. As he watched the crow devour more of the thing, he beheld his future, a finality that was now very, very close. His clock was winding down, and at the final stroke his oblivion would open and consume him just as this bird consumed the body before him. His task was almost finished, and soon the great numbness that he’d so longed for would, at long last, take him. Finally the crow finished its ravenous feast, and once again locked eyes with him. He felt the condescending sneer ripple across his consciousness. DELICIOUS, AS ALWAYS! I THINK THE NUMBER ONE REASON I LIKE TO INHABIT A BODY IS FOR THE TASTE BUDS...A TRULY WONDERFUL INVENTION! It sighed in satisfaction, and then got back to business. AHH. ALRIGHTY, THEN. LET’S GET THE LEAD OUT, MY BOY. WE’RE BEHIND SCHEDULE. COME ON, OFF YOU GO. ONE, TWO, THREE, FOUR! HIPPITY HOP, VERMIN, HIPPITY HOP! He scowled with weak indignation. I’m not doing this for you. I never have. WHATEVER YOU WANT TO TELL YOURSELF. NOW, LET’S GO KILL SOME MORE PEOPLE! CAN YOU BELIEVE IT? YOU’RE ALMOST DONE! The crow threw itself upward, beating its wings against the arid breeze. It climbed off into the steel gray sky, until it was only a black speck. He took a tentative step, and then another, and when his body told him that he was ready, he fell into steady strides across the dirt, past the body and after the crow, toward the distant horizon. Dirt and ash swirled around his feet as he passed, coating his legs, coating his spirit. He stared at the ground ahead of him, his head weighed down by eons of toil. The only sounds that met his ears were his own footfalls, eerily reverberating off of the twisted, ruined structure around him. The eyes of the dead watched him leave, their open mouths shrieking silent outrage. He left the smoking wreck behind, step after weary step, one foot and then the other as it had always been. He left one ruin to go craft another. After all this time, it would be his last. The last people of the world would feel his slow approach, and the insanity and fear would rise in them like bile. They would turn on one another, and the weak ones would strike out at the rest, their panic carrying out his will, even before his arrival. At the peak of their desperation, they would break down and give in to their most basic instincts to self-preserve. With every cycle of violence and blood, it was the same...he knew only too well the disdainfully predictable nature of humanity. The machine of the world had all but ground to a halt; he was finally within reach of silencing it forever. He could feel them, across the expanse of miles that lay in between; they scurried about like insects building a nest, scavenging what they could, while they could...ignorant of the inevitable. Ignorant of him. They would come to understand that he was coming, for as with all his past exterminations, he wouldn’t bother to make his presence a secret. Let them scurry. Let them squeal. It mattered not to him, for he knew better than any other that there was no place left to go. He didn’t even raise his head when he heard the beating of wings on the air. First a few, then more and more until the roar would have been almost deafening to mortal ears. He didn’t even raise his head when the dark cloud above chased the light from the sky. His messengers flew ahead of him to herald his arrival. Humanity’s remnant would soon know the approach of its executioner. Doom was his every step, and death stained his hands. He headed eastward, toward his release. He headed eastward, toward the blessed end of the world. Derek Kohlhagen lives with his wife and daughter in central Illinois, and is lucky enough to be a stay-at-home dad (which presents him with adventures that he hopes to one day chronicle in their own epic compendium). He graduated from Illinois State University in 2000 with a B.S. in Computer Science, and worked in the IT industry for almost a decade before being given the opportunity to move on to professional domestic fatherhood, full time. As his daughter is now old enough to go to school all day, he’s been given the chance to pursue something that he’s always wanted to do: write books. 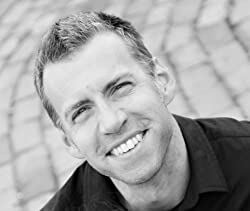 Derek’s short story, "Chalk Lines", was selected in 2011 for Downstate Story, a collection of work that showcases the talents of previously unpublished authors in central Illinois. 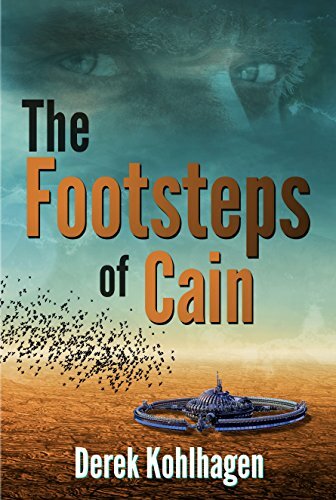 The Footsteps of Cain is his first, self-published novel. He intends for there to be many more to follow. "Indigo Bay Sweet Romance Series"